Are health systems on the hook to disclose faculty conflicts of interest? Health systems are debating how to ensure research and conflict of interest transparency in the wake of Dr. Jose Baselga's recent resignation from Memorial Sloan Kettering over undisclosed conflicts of interest. The New York City-based research institute's chief medical officer resigned last week, days after reports that he failed to disclose several millions of dollars in payments he received from drug and healthcare companies in dozens of research articles. 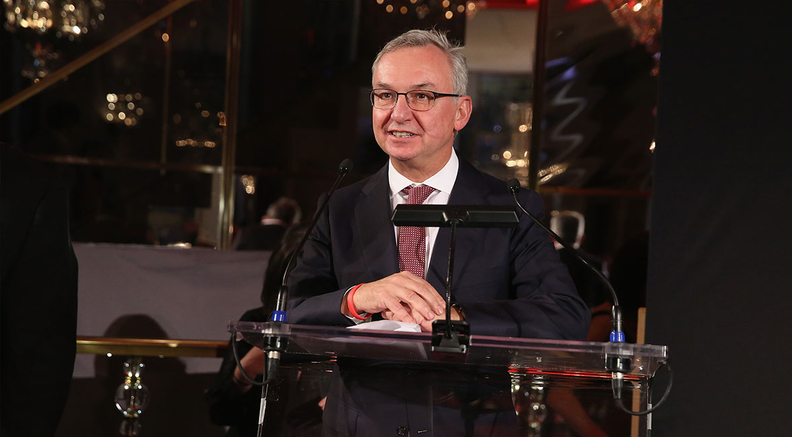 An investigation by the New York Times and ProPublica found Baselga did not report industry ties in 87% of the papers he published or co-wrote last year. Baselga also sat on the board of Bristol-Myers Squibb since March, and radiation equipment supplier Varian Medical Systems since 2017, according to the report. Sloan Kettering announced a task force to renew conflict of interest policies, according to ProPublica. In a follow-up report, ProPublica stated Memorial Sloan Kettering sent out an email to employees indicating the institution and its faculty "needed to do a better job" of disclosing their industry relationships. That's lead other research institutions to consider whether its physicians or their employer health systems that bear the burden of disclosing conflicts of interest. MSK's email also stated that providers would work with professional medical societies and medical journals to "standardize the reporting process," something many stakeholders have sought for years. "I think the goal is logical and laudable," said Dr. Mark Pagnano, an orthopedic surgeon and chair of Mayo Clinic's conflict of interest review board. "It all comes down to the pragmatism of getting essentially a mechanism in place that allows that to happen effectively and that is followed by all of the different entities that need disclosure." In his resignation letter, Baselga called clearer ways to report conflicts of interest. "It is my hope that this situation will inspire a doubling down on transparency in our field," he said. But creating a standardized system is easier said than done. Every medical journal would have to follow the uniform policy. Medical journals' conflict-of-interest disclosure policies vary greatly. According to one study of 170 public health journals' policies, 94% required study authors to disclose financial conflicts of interest. But 90% of policies did not require authors to disclose family members' conflicts of interest, and only 56% required disclosure of at least one form of non-financial conflict of interest, an April study in the journal BMC Public Health found. "From a more general perspective, undeclared conflict of interests by authors and the underreporting of funding from companies to organizations and investigators could cause biased findings conducted for public health purposes," the study concluded. Mayo requires all of its staff to disclose any outside activities formally every year, Pagnano said. Like Mayo, many other academic institutions require employees to disclose financial ties to healthcare companies internally and have developed their own processes for making sure researchers report potential conflicts of interest. At Cleveland Clinic, every faculty staff member makes annual disclosures and periodically updates them when they submit research for medical journals or give presentations. Unlike Mayo, Cleveland Clinic shares physician disclosure information online for public view, and has done so since 2008. But there is little that health systems can do to police their faculty and enforce outside conflict-of-interest policies beyond reminding staffers of their ethical duties, according to Heather Pierce, senior director for science policy at the Association of American Medical Colleges. "Usually the interactions with the journals take place outside of the control or knowledge of their institution," Pierce said. "Researchers submit manuscripts and do speaking engagements all the time without prior approval in the name of academic freedom in the work that they do." Most institutions have clear policies about financial conflict of interest disclosures. But what's disclosed to outside journals or at events or speeches hosted by other organizations is not as clear, she said. "Currently journal disclosures ask individuals to disclose information that is relevant to the topic of their specific manuscript, which is something that the individuals themselves are making determinations about," Pierce added. That can be confusing for faculty who may not realize when it's appropriate to disclose their industry ties, according to Arthur Caplan, director of medical ethics at the NYU School of Medicine. "Some of them think if this is basic science work or even laboratory cellular work they don't have to disclose—that's not true," Caplan said. "Some think they only need to be transparent about industry ties or funding sources when it's a clinical trial." Caplan suggested creating a standardized disclosure form that every investigator would keep online for public view. He felt that form could then be linked to the website clinicaltrials.gov, the National Institutes of Health database for privately and publicly funded clinical studies. "When they register their studies, they should also register their disclosure," Caplan said. "It's clear that the answer is if you're doing work in developing new drugs or other devices or agents, disclose," Caplan said. "If the journal doesn't care they won't use it."